That Netmums clip is GAWGEOUS! Well done! I love the body scrub / bird feeder ideas – will be looking at teacups in charity shops with interest now! They are cheaper at car boots but charity shop buys go to a better cause eh?! Oohhh what a wonderful idea!! I need people to play with! Car boots are best, charity shops are on to it! 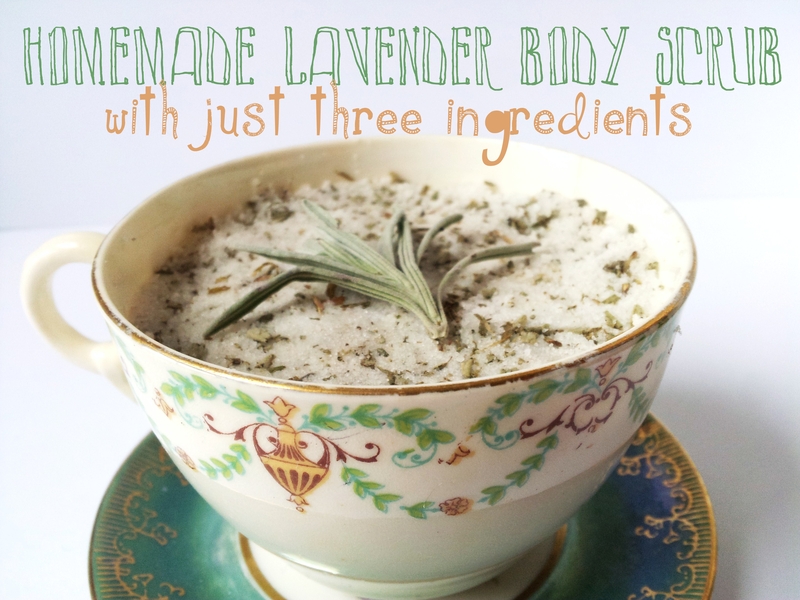 Do you use dried or fresh lavender sprigs or does it matter? I have tons of plants in my front and back gardens! If you lived closer you could forage;). I used fresh, but I’m sure any would do! I love the idea of this but coconut oil is SO bleedin expensive around here! Yet to find a good cheap source. Any ideas? Oh 🙁 We get it from our local African shop and it is quite cheap, cheaper than Olive Oil even. Think health shops might take the pee a bit? Love this tip – never in a gazillion years would I have thought of using a teacup as a bird feeder *shakes fist garden centres, conning us with their overpriced boring wire versions* The birds in my garden are about to get a whole lot fatter…..
PS Love the fonts you use – where do you find them all? Yeah, they are crazy money, eh? It is all about 1001fonts.com, but don’t expect to emerge ALL DAY!